Portable video game consoles are very popular with the younger set, and the DSi has proven invaluable on road trips, according to my sister who has twin 8 year olds. She points out that instead of a constant “are we there yet” emanating from the back seat, the only sound is the clicking of a touch screen and the rasps of buttons. Oh, and also the annoyance of two boys having to share one DSi. 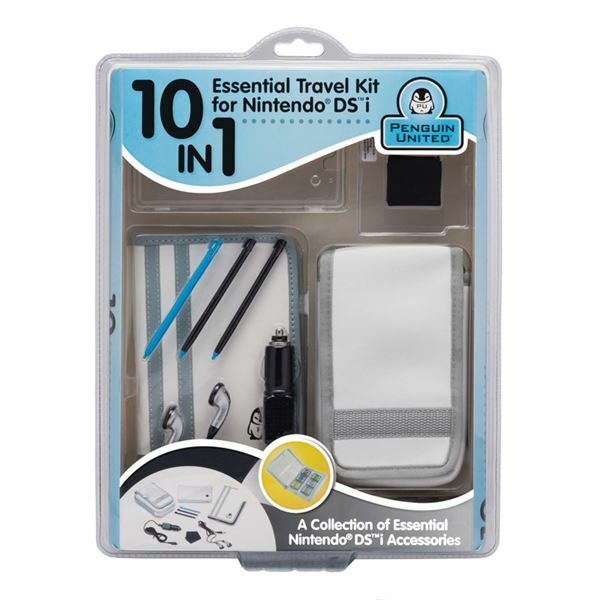 Now my coming along to a trip to Disneyland is the reward for bringing the 10 in 1 Essential Travel Kit with me. Long winded title broken down, it’s a group of accessories designed to not only enhance the fun of using the DSi, but also insure that road trip hell won’t ensue from the kids wearing out the battery as the miles roll on. So into the car I go as the kit in my hand is greedily being eyed. Of course I’ve cheated by already cutting open the blister pack so that no scissors need be involved as the car travels. So the first thing I pull out is the pair of earbuds. Handing it to one of the twins to use, now they don’t need to share. The black finish offsets the other pair and for once there’s no arguing over who gets what – I guess they picked up on the fact that no earbuds under $50 are going to sound very different than the next (guess that’s a holiday gift, note to self made). Anyone Want to Play Cards? 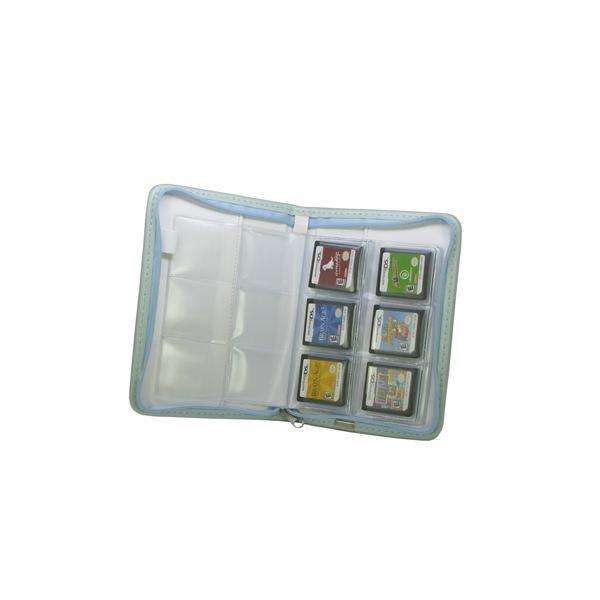 The Game Card Collection case comes out next, and it feels robust enough to handle hands that tear at velcro without concern. And the 24 slots inside should take care of keeping the games my sister has been keeping in her pocket from getting lost in the future. Or covered with lint for that matter. Only bad thing is that now she’s no longer the “keeper of the games,” but guess she can just confiscate the case entirely in the future. I don’t know about the protective screen though. It makes sense to want to protect the screen, and including a squeegee to smooth the shield once down is helpful. But the kids have complained about how the screen gets too dim with a shield over it – so we’ll forget about it for this trip. I do use the cleaning cloth to give the DSi a quick wipe though. 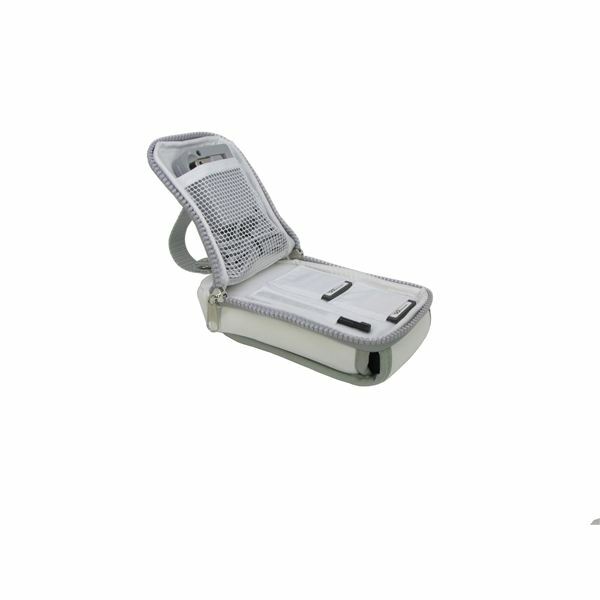 Here’s something really useful – a cover for the DSI. Giving the propensity of these guys to spill drinks and have Nintendo related accidents, even though they’ve been taught to put the DSi away when they’re drinking, a cover seems really useful. Necessary even. I pop it on quick as a bunny. Gorgeous it ain’t, but who cares? And while I clap and applaud the addition of 3 added styluses, why couldn’t they have made them all the same color? Having two black and one blue is going to cause me grief in the future so I hide the blue one away. The final accessory is probably the most important one. It’s a car charger for getting the battery of the DSi back up to snuff. The cord looks long enough to reach the back seat but safety first is still my motto (my other motto: serve the burgers medium rare). 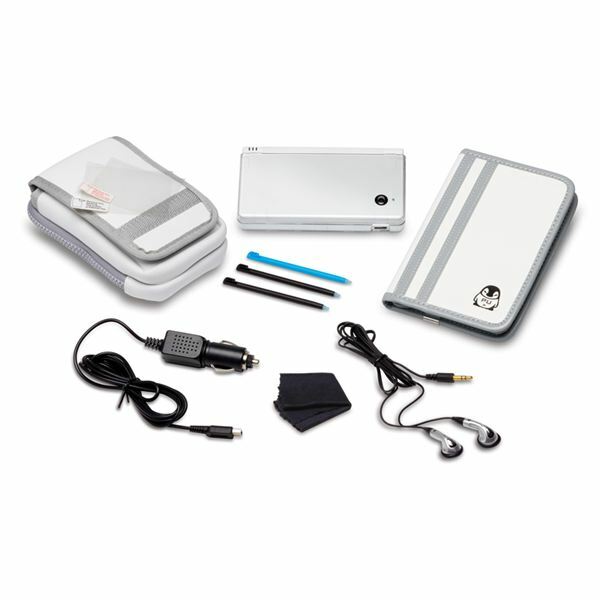 Now the DSi can get a much needed juicing up when the juice boxes come out. Or while I force my words of wisdom on the kids, who long ago have learned to tune out. Actually the charger isn’t the final accessory – that would be the carrying pouch that can gather up and hold all of these accessories. I appreciate that there’s webbing inside for quick storage/access to small parts as well. The pouch will probably get tossed around a lot, but it looks well made enough to handle the abuse. It better. Arriving at Disneyland, I get to gather up all of the accessories and see that they’re put away inside the pouch. Tossed into the glove compartment, the 10 in 1 will wait out our visit to Mickey. But I’m pretty sure it will get pulled out again during the return trip. “Count on it,” my sister says.